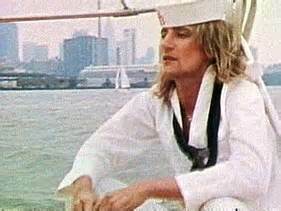 By 1975 Rod Stewart had come a very long way indeed. Five years earlier he was the unemployed singer previously in proper rock band, the Jeff Beck Group who in many respects were the template for Led Zeppelin. His solo records and those with the Faces were much loved by serious rock fans and the general public in general.’Man of the people’ Rod had now done what most working class heroes would have done in his position which was to enjoy his money and fame to the max and move to Los Angeles. Some of us who were left behind felt betrayed (and possibly jealous). The likes of Rod, the Stones and Elton John were the new aristocracy and without doubt their Rock Star antics help sow the seed of Punk. Rod’s new album ‘Atlantic Crossing’ was recorded without his old mates like Ron Wood and Drummer Micky Waller and he was playing with legendary R&B instrumentalists like Steve Cropper and Al Jackson instead. Of course the general public judged the record on its merits and made it a huge seller, its a good album and sounds nowhere near as ploshed now as we thought it did then. The big hit single was,of course, ‘Sailing’ which seemed to dominate my Top of the Pops viewing for months but as we all know time moved a lot slower in the 70’s, it was only at number one for 4 weeks. In retrospect it’s a lovely song and perfect for Stewart it conjurers up a spirit not only of travel but of loss,yearning and returning. Its a triumph of performance and production which disguises the rather unimaginative lyrics and the fact that its the same chord sequence all the way through. There’s another reason that the song is close to my heart. In January 2014 my Dad was suddenly killed in an accident installing a shower in the family bungalow. Overnight he left a huge void in the family and my Mum without heating and hot water. The days that followed were the usuall whirlwind that follows a death of a loved one which of course helps those left behind to deal with the enormity of the situation. One of the tasks was organising the funeral. My Dad suffered from the problem that affects most men over 35 in that he was difficult if not impossible to ‘buy’ for. If you look at men’s birthday cards its impossible not to come to the conclusion that men like beer/football/golf and little else, my dad didn’t like any of those, he seemed to enjoy DIY and Top Gear but there was a limit to the number of Clarkson products I could bring myself to buy. His Birthday was Xmas Eve which meant there was the double problem of present buying, what exactly were his interests? At one point in his life however he did own a sailing dingy, he took me out in it a few times until the mast broke and collapsed on our heads. He eventually sawed it in half and used the ends like a sort of open shed. So when we were looking at music for the funeral we picked ‘sailing’ because for a period of his life my Dad like sailing. He actually liked Rod Stewart too but in the same way that most people remember the fat Vegas Elvis he liked the 80’s lurex Rod so we’re talking ‘Hot Legs’ rather than ‘you wear it Well’ here. The song wasn’t written by Stewart of course. The song was penned by Gavin Sutherland who was in a folk duo with his brother Iain imaginatively naming themselves ‘The Sutherland Brothers’ They released the song as a single themselves but it didn’t do much. The world probably didn’t need a folk duo from North East Scotland although that didn’t stop the Proclaimers of course. In their quest to gather a bit more public interest they hooked up with the rock group Quiver to form the imaginatively entitled ‘The Sutherland Brothers and Quiver’. For a while they were huge, literally, Quiver was a four piece band with their own singer. The band featured talented guitarist Tim Renwick as well as Bruce Thomas on Bass. Thomas is one of my all time favourite bass players but he has a capacity to piss people off, he fell out with Iain Sutherland and was asked to leave. A couple of decades later he managed the same trick with Elvis Costello (although one imagines that might not be particularly difficult) and got himself banned from the Attractions. Gavin Sutherland moved over to bass but the shedding of members continued, by 1977 Quiver was represented solely by Drummer Willie Wilson. The problem becomes obvious if we look at The Sutherlands version of Sailing, the song is there but its not going to bring a tear to my eye. To this day it still puzzles me. Mary taught him all he had to know so the basics really, nothing fancy. But in that case what was the ‘first mistake’ and how basic was that mistake. Of course we’re talking Scotland in the 70’s so a basic mistake was possible I suppose but really just thinking about this really has occupied too much of my time. Still we really liked that soft country sound in 76 and it was a UK top 10 single. And that was it for the the band, I use the term loosely as when they got rid of the drummer there was no Quiver anyway. Wilson and Renwick went on to have careers of their own not least of which was playing in the Pink Floyd touring band. Amazing the Sutherland Brothers have resisted any reformation which is weird when you consider they could trade in nostalgia and also the thriving folk scene. They are still involved in music in the cottage industry sense. 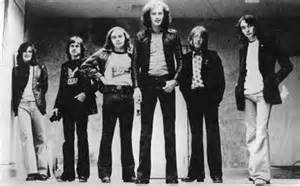 This entry was posted in rock music and tagged 70's biography, 70's music, Britain, country rock, drums, rod stewart. Bookmark the permalink.